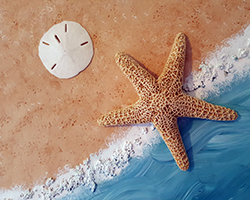 If you love the beach then this beach canvas art is for you! When I'm shopping at thrift stores, garage sales, or discount stores - I always keep an eye out for framed artwork. But I'm not looking at the artwork, I'm checking out the frame! Can it be re-used? 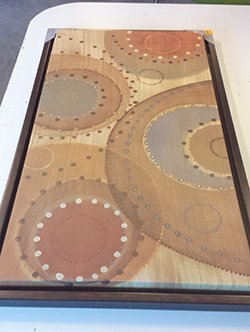 Wood frames can get pricey when you purchase them new. This is what happened which led me to this canvas. I was shopping at Marc's, a discount store chain that we have here in the Cleveland area. I was checking out the home decor section and came across a beautiful canvas that was already framed - the canvas was inside a nested frame and I loved the look. I wasn't in love with the preprinted design that came on the canvas, but it was a steal for just under $9. You can't buy a framed blank canvas for this price new! I brought it home and just saved it for the perfect project. 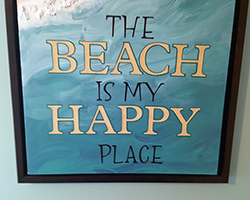 When we re-decorated my daugther's room in a beach theme - I knew just what to do with this canvas! This canvas has some 3-dimensional elements to it too. The water is shiny, the swash zone is filled with foam, and there is a real starfish and sand dollar attached. It all adds to the personality of the piece, and it is sure to catch an eye. 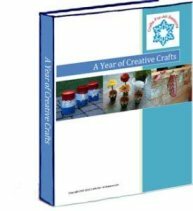 Read on to learn how I put this together, and how you can make one too! 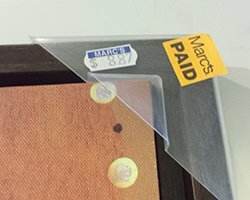 Framed canvas - be on the lookout at thrift stores or discount stores, you can paint over the canvas if it is already printed on. 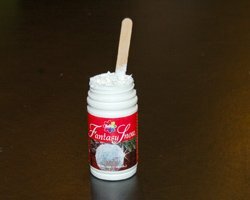 Imitation snow (I used "Fantasy Snow" by Delta) and a craft stick to apply it with. 1. As I mentioned above, I found this pre-printed ready to hang artwork at a discount store for $9. I wasn't a fun of the art that was on it, I just wanted the nested canvas in the frame. Always be on the lookout for things like that - you can always paint over things and many times the canvases are cheaper to purchase this way! $8.87, can't beat the price! 2. On the top half of the canvas, I sponged on a sand color acrylic paint. By sponging it on, you will get a nice textured effect. 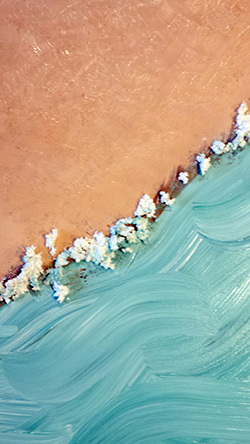 Along the bottom of the canvas, I applied a turquoise acrylic paint with a paintbrush, making wavy strokes. As I worked my way up, I added white to my blues to create the look of water. Near the swash zone, I added even more white, so it blended from dark to light. 3. To create the 3D foam look where the water meets the sand, I applied imitation snow with a popsicle stick. The type of imitation snow I used is called "Fantasy Snow" by Delta. It is basically a white glue with tiny little styrofoam beads in it. 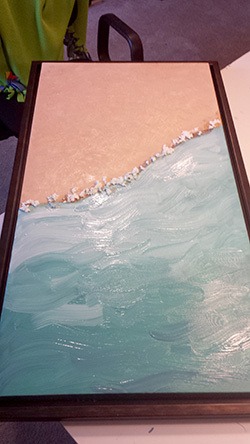 Using a craft stick, I applied this snow along the edge where the water meets the beach. Once it was dry, I painted over the bumps with more white paint to make it stand out more. 4. Once everything is dry, I glued on a dried starfish and dried sand dollar that I purchased from a gift shop by the beach last summer. I used E6000 glue to attach them. 5. Using my Cricut die-cut machine, I cut out letters from card stock that spelled "This is My Happy Place". You can also use letter stickers too. Then, I painted over the letters and all of the water with Mod Podge (gloss version) using a sponge brush. This protected the letters and gave the water a glossy look. 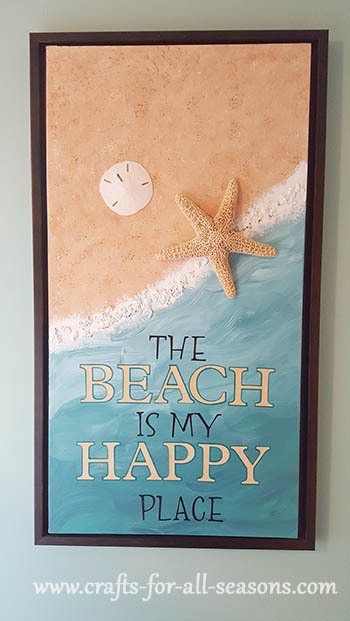 I love the way it turned out and it looks great in my daughter's beach themed bedroom!